Here at Redmond Pie, we try not to get too carried away with new inventions, hacks or mods incase the claims of the respective developers never reach fruition. Take RecognizeMe for example. Makers of the jailbreak tweak claimed users could ‘train’ it into recognizing a user’s face, and scan it in order to unlock. It was an exciting concept, but in reality, it didn’t actually work properly, and made the process of unlocking a device far more elongated and annoying than the James Bond-esque claims. The latest such advance comes from Josh Evans and Ollie Hayward, two apparently technically-adept souls who claim to have compiled a gizmo which – through the use of EEG pads to detect brain waves – allows Siri to be activated purely by thought as opposed to merely voice control. During the month since Siri reached end-users, we’ve seen a lot of developments demonstrating how far Apple’s voice-detecting software can be stretched, but this – if true – leaves those others firmly in its wake. Known as ‘Project Black Mirror’, the duo note that the EEG pads detect “signature brain patterns” of 25 Siri-based commands. Once the brain patterns are matched with the commands, the system effectively becomes mind-to-voice, cutting out the middleman. It’s not strictly a mind-reader, merely transcoding brainwave patterns to a coherent language understood by Siri. It could quite easily be a hoax, and has already accumulated a steady pile of critique. The Honda Research Institute believes real-life implementation of such technology would be limited due to human thoughts often becoming distracted. Moreover, brain patterns differ between individuals, so it would have to be individually trained by each user. Having said that, the Honda Research Institute also produces a robot called Asimo, which is responsive to EEG-based thought commands, so such technology is not beyond the realms of possibility. Brain and computer have built mutually intelligible language foundations for years, so we will have to keep an eye on the progress of Project Black Mirror. 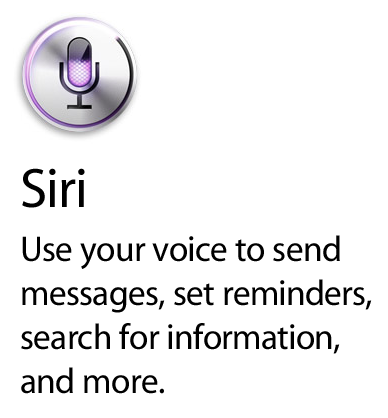 Mind control Siri — whatever next? Leave your feedback on our Facebook or Google Plus pages!